Collaboration has fueled my creative process and gifted me with some of my richest and most memorable artistic experiences. 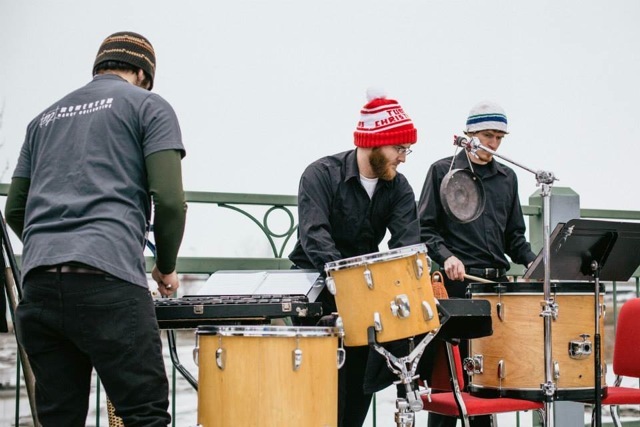 A week-long residency in Cordova, AK, working with Current Rhythms Dance Company, culminated in a public performance which included a 32 member multi-generational cast of community dancers and musicians. The performance featured the musical “The Elephant and the Monkey Could Swing,” written, choreographed, and directed by Katherine Kramer. 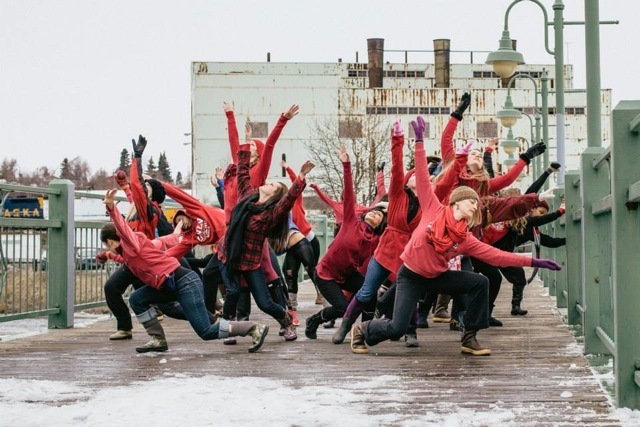 While working as a Guest Artist at University of Alaska, Anchorage from 2012 to 2014, I collaborated with Momentum Dance Collective, local dancers, and musicians, and the local Native Alaskan community in creating an event which was part of a live-stream national project, raising awareness of water issues. One of 10 collaborations between 2002 and 2012 with visual artist and puppeteer Pablo Cano. Commissioned by the Museum of Contemporary Art in Miami, FL. Director of collaboration with choreographers Joanne Barrett, Priscilla Hensley Holthouse, Becky Kendall, Irenerose Antonio, Teresa Liu, Bonnie Morring and Stephanie Wonchala. Director of collaborative project with tap dancers, Katherine Kramer and Carson Murphy, contemporary dancers, Joanne Barrett and Ilana Reynolds, and musicians Kenneth Metzker, Fabio Patino, Max Farber, Allison Irvine, Diogo Brown Bass and Camilo Tumbao.